Police in Washington, D.C., are continuing the search for Relisha Rudd, the young girl who disappeared more than two years ago with the janitor of a District homeless shelter, the Washington Post reports. The new search will be carried out on the grounds of the National Arboretum in Northeast D.C. Metropolitan Police Department Chief Cathy L. Lanier announced to the media on Wednesday morning that the search would involve divers in areas of water around the arboretum. She also vowed that the search for the little girl would not stop until all leads had been looked into. The search, which will begin Wednesday and continue through Thursday, will involve K-9 units and 60 personnel and partners, Lanier told the media. 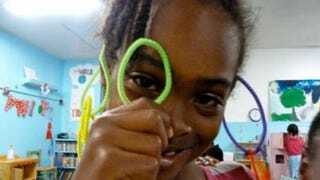 As the Post notes, the last large-scale search for Relisha, 8, was in December at a construction site a short distance from the hotel where she was last seen alive with her abductor, Kahlil Malik Tatum. Nothing was found at the 15-acre construction site. Relisha vanished in February 2014 from the homeless shelter at the old D.C. General Hospital, where she was living with family. She was seen with Tatum, the janitor, walking down a hallway of a Holiday Inn Express on Feb. 26, 2014. Relisha was last seen March 1, according to police. Lanier did not specify why the latest search is being concentrated at the arboretum, only acknowledging that the area was a "difficult search area." Police previously searched several areas in D.C. in hopes of finding the little girl alive, but after unsuccessful searches in Kenilworth Park and the Aquatic Gardens in March 2014, authorities all but declared Relisha dead, categorizing further searches as recovery missions. Tatum was found dead in the park during this search—an apparent suicide, according to police. Relisha's family, however, is holding on to hope. Shamika Young, Relisha's mother, believes that her daughter is still alive, and as she joined with family and friends at the Deanwood Recreation Center to mark the two-year anniversary of Relisha's disappearance, she said, "I still have hope and faith that she'll return one day," the Post notes.